Tall spires, mummified hands, Med-style bistros? Remarkably, St Stephen’s Basilica in central Budapest has them all. 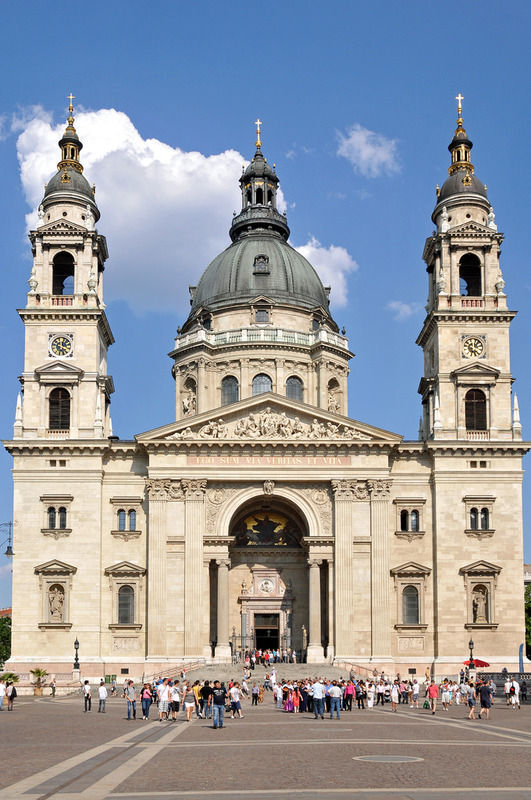 Named after Hungary’s first king, St Stephen’s Basilica is the largest church in Budapest. This regal neoclassical building went up in 1905, and has since become a centre of activity in the capital, religious and non-religious. As a visitor, you can climb the dome or copula, and visit the mummified hand of King Stephen himself, still here after 1,000 years. Every Thursday evening, the Basilica hosts musical events, including arias (sung solo pieces) and oratorios (religious operas). Some of Hungary’s most distinguished classical musicians have trained and played here. If long concerts aren’t really your thing, consider one of the mini-concerts held every Friday. Entry is free, although it’s customary to donate 200 Forint (1€). The church is open all day during the week, but bear in mind that at weekends you can only visit Saturday morning and Sunday evening. There might be further alterations to opening hours to accommodate religious services. St Stephen’s Square outside the Basilica has lots of cafés and bistros, and the views from your table are obviously second-to-none. 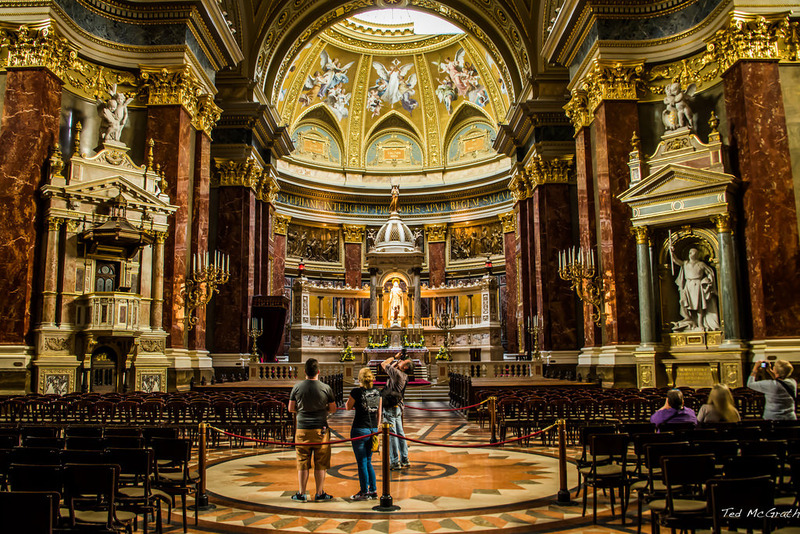 The groundwork is there for a peaceful, more laid-back feature of your Budapest itinerary.